Summer concentrates on transactional, regulatory and general corporate matters. Her experience includes all aspects of formation, maintenance and dissolution of corporations, limited liability companies and limited partnerships as well as a broad range of transactional and regulatory matters for financial institutions and financial institution holding companies. Summer also is involved in the maintenance of the Firm’s corporate records database. 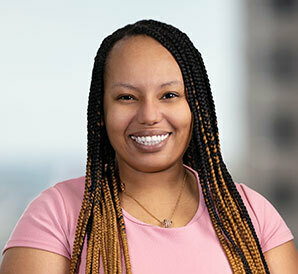 Summer earned her Bachelor of Science degree in Finance followed by her American Bar Association approved Paralegal Certificate, with honors, at Roosevelt University.